A selection of some of the most influential advisers from 400BC to the present day. Provides an insight into some of the most important and yet often unnoticed men and women in history from around the world. From Alexander the Great to Saddam Hussein, from Cardinal Richelieu and Howard Hughes to Martin Luther King and Pope Benedict, emperors and tycoons, presidents and popes, they have all had a right hand man – or woman – at their side advising, sometimes influencing and occasionally manipulating. The operating style of the ‘fixer’ or éminence grise has changed throughout history from one of absolute discretion as adviser to overt spinning with even a desire to share in some of the ‘fame’, but their presence has always been a constant theme. 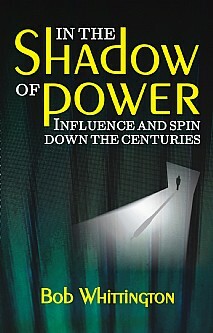 In The Shadow of Power throws a brief spotlight on some of the people who practised these dark arts hovering on the edges of history, lurking in the background, occasionally rising to positions of absolute authority while managing to remain behind the scenes. This selection reveals certain common traits – a devotion to their master, a ruthless determination to protect and serve regardless of the price, an ability to survive. Many of the individuals will be unknown to some readers although the masters they served will all be household names. Not all are men, of course, the strong woman behind the successful man is commonplace. They have worked for good and ill, some moving from the bedchamber to positions of absolute power; many just like their male counterparts seem to have been driven by their lowly backgrounds with their intelligence simply proving too much for their well-born masters. They come in all guises: diplomats and courtesans, concubines and clerics, politicians and journalists, and from many different countries in Europe and India, China, France and USA, but the role of the éminence grise is often a dangerous one and getting too close to the powerful can prove fatal. A fascinating and enlightening read for anyone interested in history and politics.